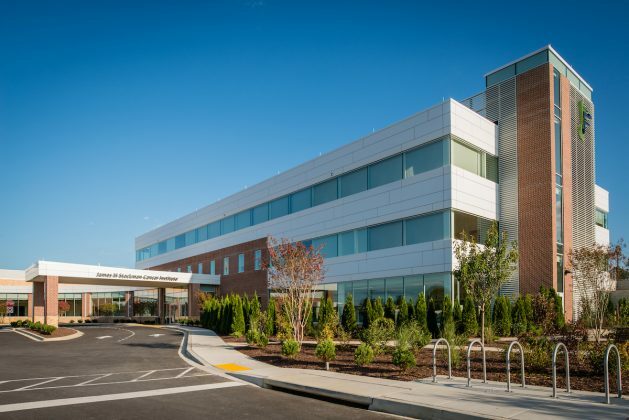 The new $36 million, 62,000 sf James M. Stockman Cancer Institute opened to the public on July 31, 2017. 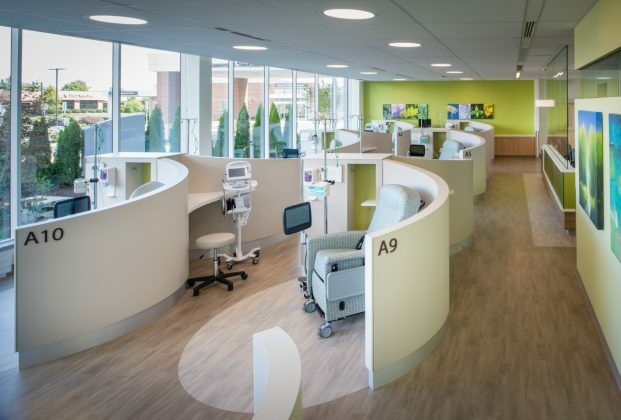 Designed by Trinity and SmithGroupJJR, the comprehensive patient-centered facility integrates a multidisciplinary program of medical oncology, radiation therapy, surgical specialists and support services. 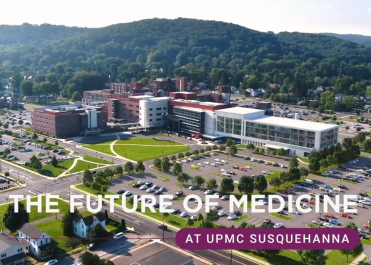 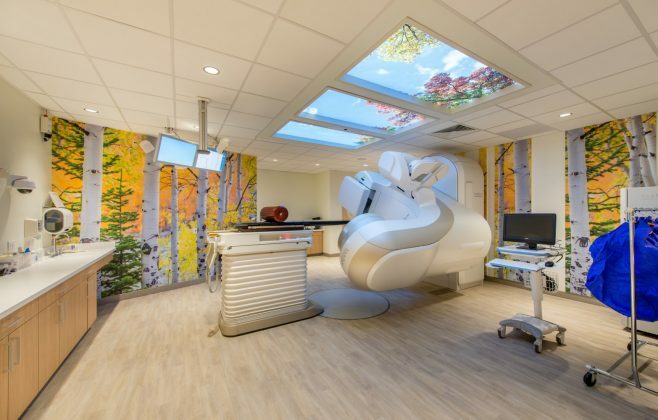 It houses 3 Linear Accelerator and Cyber-knife radiation treatment vaults, 24 public and private infusion spaces overlooking a healing garden, and physician offices. 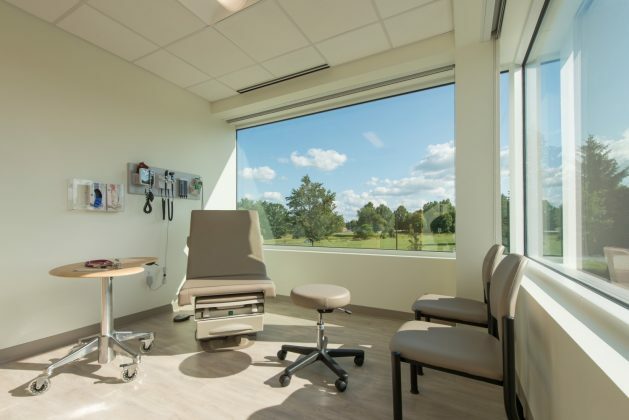 The project also included exterior modernization to an existing building, and stems from Trinity’s $66 million long-range master plan of expansion and modernization created for the Frederick Memorial Hospital campus.